Step 1: go to PhotoScape’s datasheet on Malavida and click on the green Download button to be able to download the installer to your computer. Step 2: go to the folder where you usually save all your downloads and double click on the installation file to launch the install process. Step 3: after waiting for 30 or 40 seconds for the software to complete this process, click on the Finish button. You can also open the program immediately if you check the Run PhotoScape box or you can open it later on by not checking that box. That’s how easy it is to install this program that works as a powerful free image editor that’s appropriate for all sorts of users, even if they haven’t got advanced knowledge about photo editing. We only need to take a look at all the features that it offers and how accessible they are: they are all available on the main interface and also from the tabs on the upper navigation bar. With this program we can fix any flaw in a photo or adjust specific aspects, as well as applying filters or effects to turn any image into whatever we want, including the creating of GIF animations. It’s an all-in-one program as it’s not only for editing but also for viewing images, allowing us to open and see any photo from the collection saved on our computer or any connected device, as well as taking screenshots and configuring printing options. 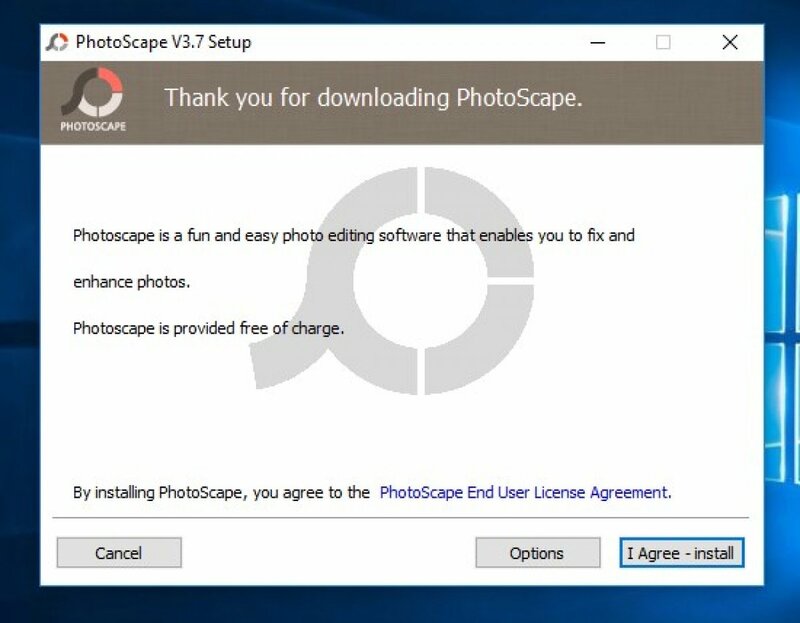 What is PhotoScape and what's it for?